Washington, D.C.-(ENEWSPF)- Wednesday, the Human Rights Campaign (HRC) — the nation’s largest lesbian, gay, bisexual, transgender and queer (LGBTQ) civil rights organization — responded to the Trump-Pence administration’s refusal to join more than 30 countries in calling for a thorough investigation into the ongoing anti-LGBTQ crimes against humanity occurring in the Russian republic of Chechnya. The United States refused to sign a joint statement issued by United Nations member nations calling for “a swift, thorough and impartial investigation into the alleged persecution,” and that those responsible be held accountable. Since news of the Chechen atrocities first broke in April 2017, the Trump-Pence White House has refused to publicly condemn the anti-LGBTQ attacks. The Trump-Pence White House has refused to publicly condemn the anti-LGBTQ attacks, even as Vladimir Putin licensed the violence to continue. While the U.S. Treasury Department did place sanctions on certain Chechen officials in response to their human rights violations, and U.S. diplomats supported the OSCE fact-finding mission, President Trump, Vice President Pence, and Secretary Pompeo have never once spoken out publicly against what has taken place there. HRC has worked to shine a spotlight on the dire situation in Chechnya through the organization’s #EyesOnChechnya campaign. In March 2018, HRC also released a letter from HRC President Chad Griffin to Trump calling on him to end his deafening silence and publicly condemn the attacks as crimes against humanity. 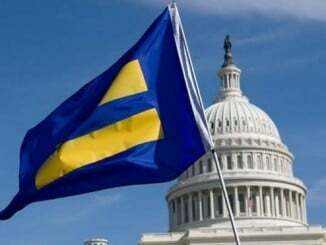 In June 2018, a gay Chechen refugee joined HRC in Washington for a series of meetings with U.S. government officials, where he shared how he had been brutally tortured in Chechnya and managed to flee to safety in Canada with the help of the organization Rainbow Railroad. HRC also shared the first-hand story of one of the Chechen survivors on World Refugee Day. 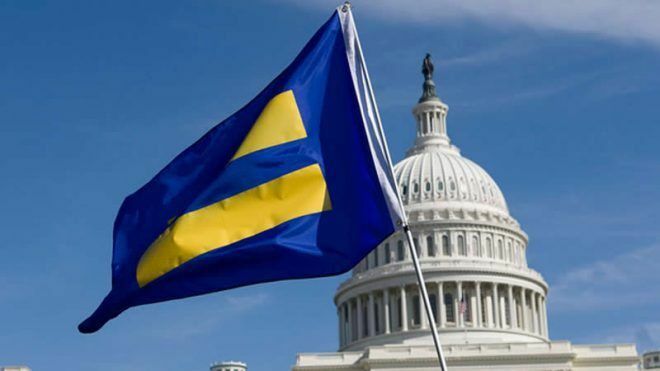 In July 2018, on the eve of the Trump-Putin summit in Helsinki, HRC projected an enormous message on the Presidential Palace demanding that Trump and Putin immediately condemn and investigate the ongoing anti-LGBTQ crimes against humanity occurring in Chechnya. On April 1, 2017, Novaya Gazeta, a Russian independent media outlet, first broke the news that Chechen authorities had rounded up and detained in secret prisons more than 100 men who were suspected of being gay or bisexual. Chechen leaders have denied these accusations, going so far as to deny the very existence of LGBTQ people in Chechnya — a claim the Russian government astonishingly repeated. Nonetheless, there were numerous verified reports of torture and at least three and possibly as many as 20 men had been killed. The anti-LGBTQ attacks have also brought about a surge in lesbian women sharing stories about humiliation, abuse, and threats they have faced from male relatives or from others. Transgender Chechens have also fled violence. There are also reports of renewed persecution against LGBTQ Chechens. Approximately 40 people have been detained and two killed in a “new wave of persecution” that started at the end of 2018, according to a statement from the Russian LGBT Network. The Russian LGBT Network, which has helped more than 140 people escape Chechnya since the crackdown began in 2017, has stated law enforcement officers have detained individuals suspected of being LGBTQ in Argun, a city more than a dozen miles outside the Chechen capital.